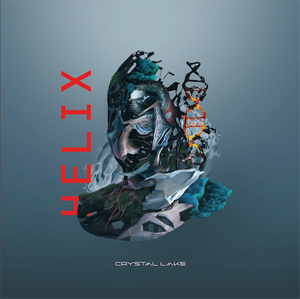 Japan’s breakout metal band and recent addition to SharpTone Records, CRYSTAL LAKE has debuted a music video for their brand-new single “Lost In Forever” from their upcoming album titled Helix, that’s due out on February 15th. The new single comes just weeks ahead of their first ever U.S. tour. Watch the video for "Lost In Forever" on KNAC.COM HERE. CRYSTAL LAKE will join AUGUST BURNS RED, FIT FOR A KING and >b?MISS MAY I for their first ever U.S. tour. Dates listed below. Tickets on sale now.